I'm so happy you have been added to the free challenge. I cant wait to meet you in the challenge. Like I told you, it's 100% free. If you would love to get paid handsomely for what you love to do and build a thriving internet based business that gives you a lot of money, freedom to enjoy the money and also make a difference in the world, this is the most important letter you will ever read. The Steps I outlined in this system is not a ‘get rich quick’ scheme where you are paid a fortune for doing nothing. Here’s the ‘koko’ of the matter. The system is working GREAT for me and my clients, some of whom have been featured on CNN, Forbes, Los Angeles Times,ABC, FOX, etc. The system can also work for anyone who is ready to take simple instructions and put in some hardwork. Alright, now that I have cleared that, let me jump in and talk about this system. EXACTLY WHAT YOU ARE GETTING? First and foremost, I know you may have read alot of business books, blog posts, watched a alot of videos and probably even used Google to do some research about creating wealth from the internet. I know this because I was like that from 2004 to 2009. It got so bad for me that one day I thought my ‘village’ people were after me. I actually thought my cousin’s father, who incidentally is the chief priest in my village was the one responsible for my failures. I was so wrong. It was not his fault. He was never responsible. It was because I lacked a proven system like the one I'm going to talk to you about today. The system I’m going to handover to you today will be ABSOLUTELY transformational. It's is short and straight to the point. And it is very easy to read. I deliberately made it a very short system that you can download right now and you will finish reading it in the afternoon. I know you have had too many information, and the truth is that, you are tired of all the regurgitated information on ‘Turn Your passion Into Online Business’ thing. What you do need is TRANSFORMATION, not information and that is exactly what I have parked in this system. It is short but detailed. Once you lay your hands on this system right now, you will be laying your hands on one of my most ‘PRICED’ business secrets which has generated over $50 Million Dollars for my Clients In the US, Australia, Europe and parts of Middle East. Ok, let me repeat that. When you lay your hands on this system, you will literally be laying your hands on one of my most ‘TREASURED’ assets that has generated over $50 MILLION DOLLARS for my clients who are just people like you but decided to turn their knowledge, skill, expertise and passion into a thriving online business while IMPACTING lives at the same time. It does not matter what passion, skill, expertise or knowledge you have, you can use it to build a thriving online business that gives you PREDICTABLE income, freedom to do whatever thing you love and the opportunity to also IMPACT lives. Why This Is The Best Time For You and I will even show you how you can get your own share of the $119 BILLION DOLLARS per year and this industry will grow by 83% in 2018. The Exact Blueprint You Need To Turn Your Passion, Knowledge or Expertise Into a Thriving Online Business That pays You SOLID 7-figures per month, this is the proven blueprint. This will work even if everything else has failed you. The three BIGGEST niches. These are red-hot. It will make you a millionaire over night and chance are, your passion, skill, knowledge or expertise falls in one of them. What Type of products people are buying now, which one is right for you and how to make people run after you instead of you chasing them. The Four Major Reasons people will pay you any amount for your expertise, passion or knowledge. Once you know these four reasons, people will pay you anything you mention. 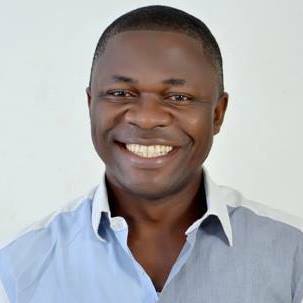 Steal My 10 MILLION NAIRE in 12 Months formula. If you would like to earn 10 Million naira (or more) in the next 12 months, you will get FANTASTIC strategy to help hit that goal,all in this new book. The ONLY three tools you need to build a thriving online business even if you are not a tech person. These are SIMPLE tools for people who are not tech savvy. The ONLY FOUR WEBPAGES you need to build a thriving online business. It will just take you a few click of a button. Super SIMPLE! If my 11years old Nephew can do it, you too can do it. The Only five types of products people buy on the internet and I will show you which one is PERFECT for you even if you are just getting started online or NOT. Where (and How) To get Customers with Money. Yes, I will literally be showing you where to find customers with money and how to make them come to you, instead of you going to them. I know you loving these stuffs. All these are battle-tested strategies that are working. People are not talking about it because nobody else is using it. Once you lay your hands on this system (or special report), you will have exclusive access to my audio training program, a $297 value, that i made specifically for you. My Exact process For Turning Phone Conversation Into Sales, you will love this especially if you are someone who is not a skilled sales person, you will also love it if you love selling because it will show you how to close more sales effortlessly. Why Your Clients Is Not Happy That You Are Not Charging them and How to charge them more so you can make impact in their lives. Again, this is just a tip of the ice berg. Listen. If you don't like "sales", you're not alone. I can't stand it either. I'll literally rather do ‘conductor work’ than be a typical "salesman". And that's why I've spent years developing the system I'll be giving you once you get my system. The "cost" of this system is N2,997 ONLY, and you get it instantly as a download. I'm literally giving you this entire book, for N2,997, as a means of "putting my best foot forward" and demonstrating real value. In most cases, I take a loss when selling this system to you. It took me more than 8 years to discover this system, and it took me another 90days to compile it so it can be PERFECT for you. This system is ONE of my MOST TREASUREABLE business 'secrets' and I'm giving it away just like that. Simple! I'm making this offer with the idea that you'll be very impressed with what I'm giving you today, and you'll want to do more business with me in the future. I strongly believe that you will LOVE what I'm giving to you today, and that it will be absolutely transformation for you, and that will make you want to do more business with me in the future. I'm a strong believer of value in advance. It's actually the opposite. I'm betting that you'll enjoy the book so much, you'll call me! You'll see the actual syetm I'm running. You'll see the 5 steps I'm using. I'll even tell you exactly what to say to get clients chasing after you. I 100% Guarantee you'll love this book and the new training or I'll return your N2,997 and let you keep the book and the video training anyway. That's right. You don't even have to send anything back. Just email me or call the number on your receipt and I'll give you back your N2,997 with no questions asked. All I ask is that, show me you followed the instructions as outlined and you got no result. You have FULL 30days to do that, if you don't like it, let me know and I'll refund your N2,997. So, the entire risk is on me, not you. ​Please, use your email address as the depositors name so you can get instant download. 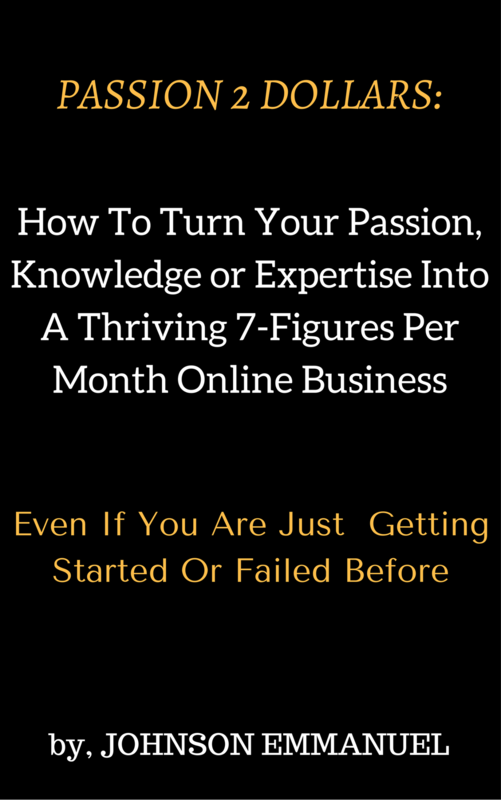 I'm offering you a new book, it is actually more than a book, it is better referred to as a system that outlines how to turn your passion,knowledge or expertise into a thriving 7-figures per month business even if you are just getting started in the online world or you have failed before. I'm also walking you through a ''10 Million Naira In 12Months' system that I created and it will help you get total clarity, confidence and focus. Once you get these three, even if all the demons gang up against you, you will effortlessly hit your income goal. On top of all that, I'm also giving you a 60-minute online training, free, which shows you exactly how to implement what you learn in the book. In fact, if you don't like the book let me know and I'll even give you back the N2,997. You don't even need to send the book back.